Last January, I was invited to attend the launch of Google Street View Philippines. Unfortunately, I had work that day (I regret actually not going). Since its launch in January 2014, Google Street View, which has been popular for making it so much easier to virtually tour streets and places in the U.S. with this technology, brought the same technology to the Philippines. For the 1st time, Google Street View capturing tools were going to capture Philippine streets and lcoations. 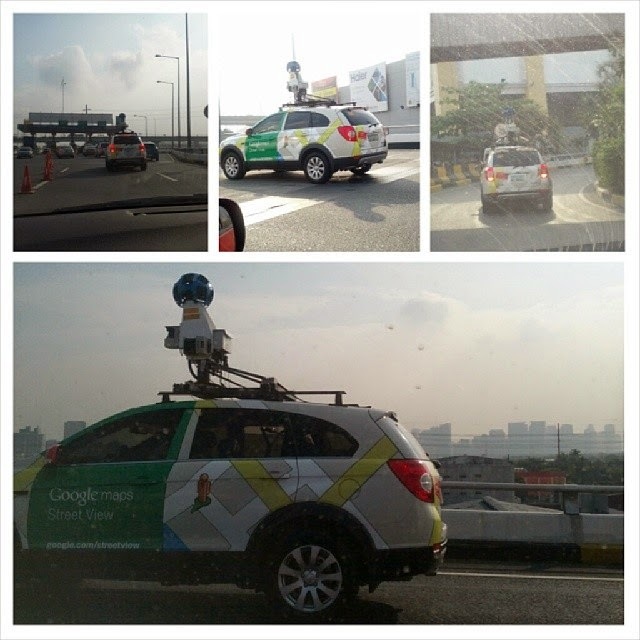 The Google Street View car started going around taking imagery to attach to Google maps. And in places where the Google Street View car couldn't fit (think eskinitas and other terrain that a car couldn't traverse), there was a backpack version of the Google Street View device where a person could just strap the backpack and walk around capturing the same imagery. It was only this morning that I actually saw one in action. Well I don't really know if it was recording at that time, but I did see the Google Street View car going around. It entered the Skyway from Bicutan in Paranaque City and exited somewhere around Magallanes in Makati City (I think). I was keenly interested if it was travelling at a constant speed so it could capture images. However, with the 60kph minimum speed limit, I figured it would need to go at least that fast. Funny that it sped up, then slowed down, then sped up again. I was thinking maybe it was taking instructions from a computer telling the driver to go faster or slow down similar to taking a panoramic shot. 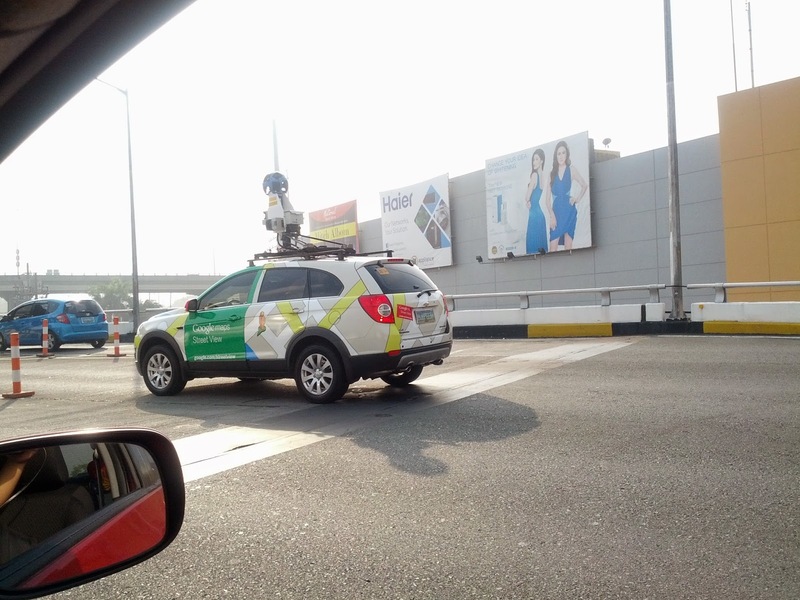 But anyway, it was just nice to see the actual Google Street View car on the road and in action. If you've seen it elsewhere in the Philippines, post a comment and let us know where you saw it.